A refreshing and light Caprese Salad comprised of tomatoes, mozzarella and basil. It is topped with an incredible Honey Balsamic Glaze that ties all the flavors together for an incredible meal, side dish or snack. Today is officially the first day of summer and what better way to bring it in than with a fresh and light salad! Summer is in full swing now at my house with activities, excursions and late nights. My favorite thing to do during the summer is to sit out on my deck in the cooler nights and just bask in the wonderful cool summer-night air. It is so relaxing. Salads are my go-to for lunches during the summertime. I love to enjoy meals that are light and don’t weigh heavy in my belly for the entire day. 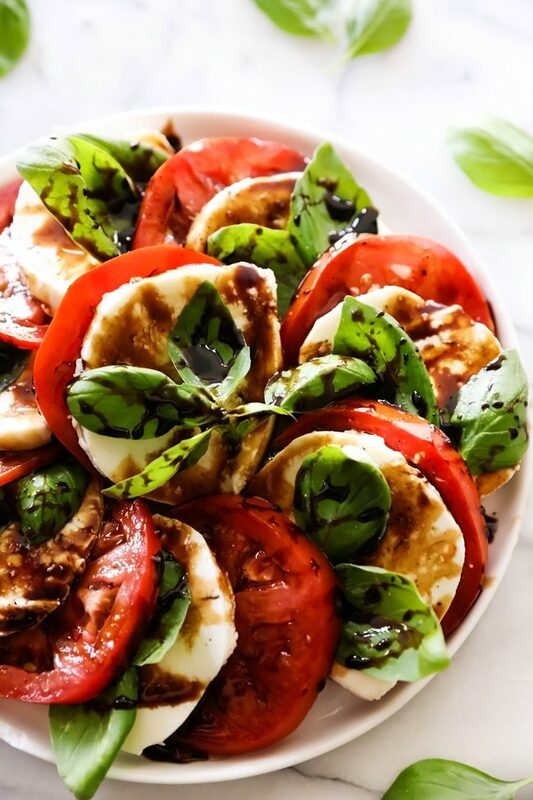 Caprese Salads are one of my absolute FAVORITE salads of all time! I love the combinations of tomatoes, mozzarella and fresh basil. This salad is topped with the most incredible Honey Balsamic Glaze. It is seriously mouthwatering! I drizzled mine serving with tons of it because the flavor was seriously to die for! Not only is this salad a beautiful presentation, but the flavor and taste are outstanding and the ingredients and flavors fuse so nicely together in each and every bite. It is refreshing and absolutely delightful! 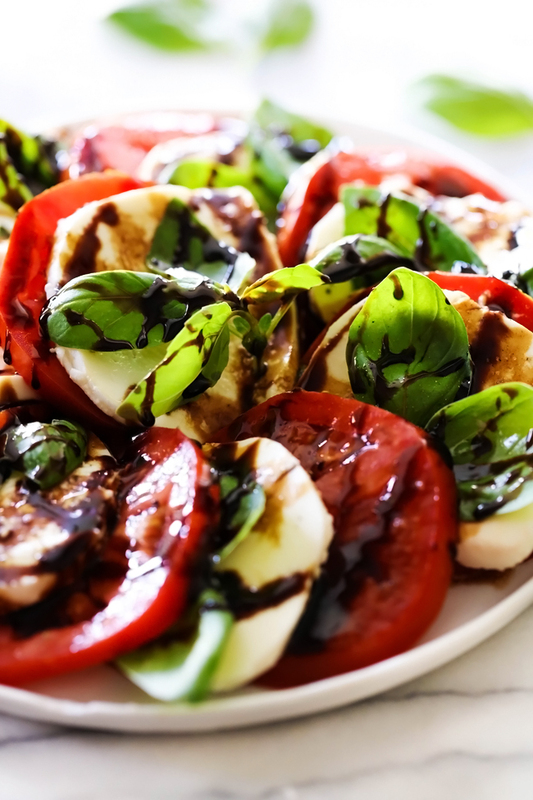 This Caprese Salad is sure to be a show stopper whoever you take it! And best of all, it is SO easy to create! Definitely give this salad a try at your next gathering or get together! People won’t be able to get enough of it! A refreshing and light salad comprised of tomatoes, mozzarella and basil. It is topped with an incredible Honey Balsamic Glaze that ties all the flavors together for an incredible meal, side dish or snack. In a medium sauce pan combine balsamic vinegar, honey and lime juice. Bring to a boil, (be so careful not to let it boil over). Reduce heat to low and simmer for 20 minutes until it thickens, stirring occasionally. Cool completely. Arrange tomatoes, mozzarella, and basil alternately on a platter. Sprinkle with salt and pepper and drizzle with olive oil. Drizzle the reduced balsamic glaze over salad and serve. Looks so delicious! I love caprese salad!